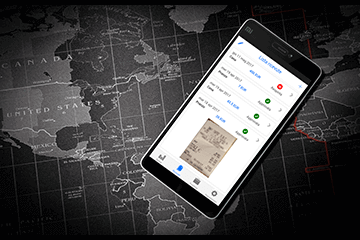 THE PERFECT APP FOR A SECURE AND ON THE GO MANAGEMENT OF RECEIPTS, EXPENSE REPORTS AND TRAVELS. 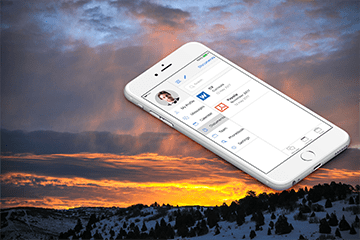 NOW FOR THE BUSINESS TRIPS IS ALL AT YOUR FINGERTIPS. 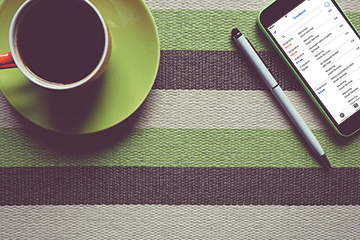 by making faster and easier the receipts management. 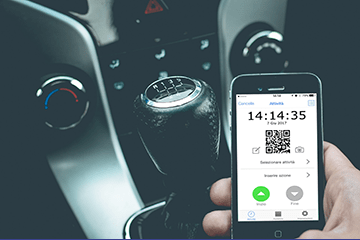 to be used immediately – and for company which has data in real-time in a more simple, highly-reliable and cost-efficient way. the Complete Cloud back-end features, available with EcosAgile suite. 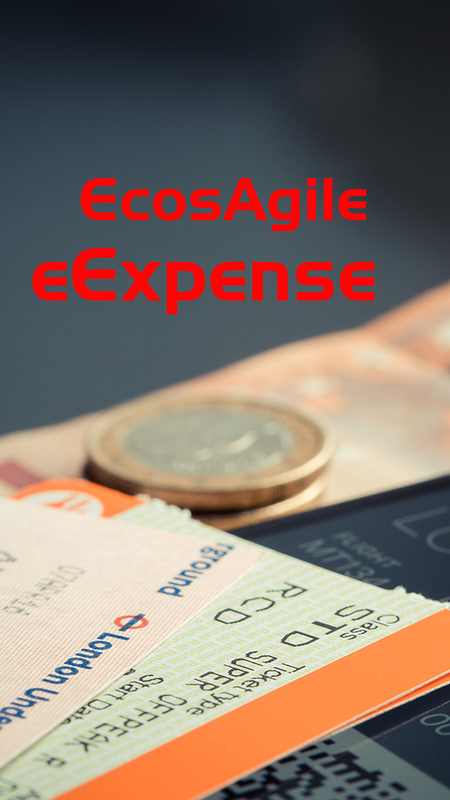 eExpense doesn’t need any installation, no need for specific skills or additional infrastructure requirement. Registration of expenses at any time choosing among multiple expense and cost items. Controls on company customizable policies. 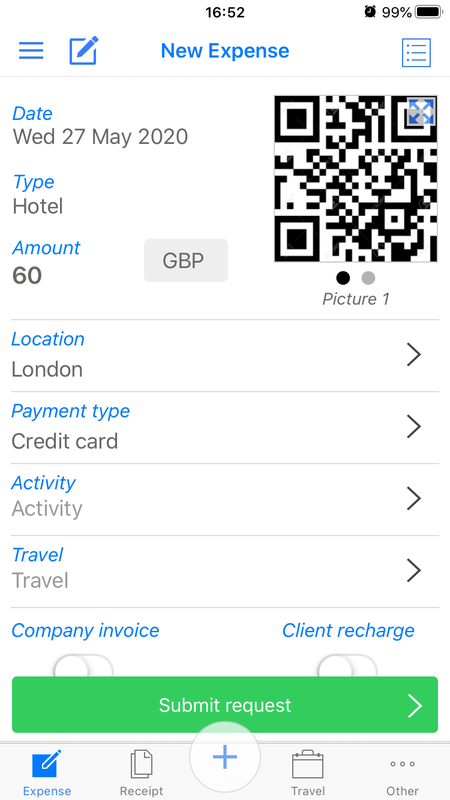 Attach the supporting documentation of the expenses taking a picture via App or simply uploading an image. App intuitive with simple design. Transfer request integrated with the vehicle reservation and the overnight accommodation. Privacy guaranteed. It gives data to your current Administrative Systems and gives help to the back-end in procedures and the real-time integration with APIs / Web Services . 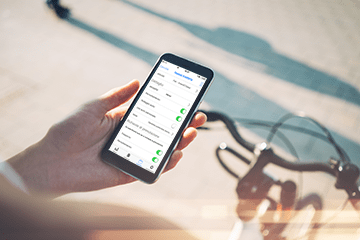 Synchronization with back-end, expense reports off-line registration, send of expense reports file to Payroll processing services and Administration. 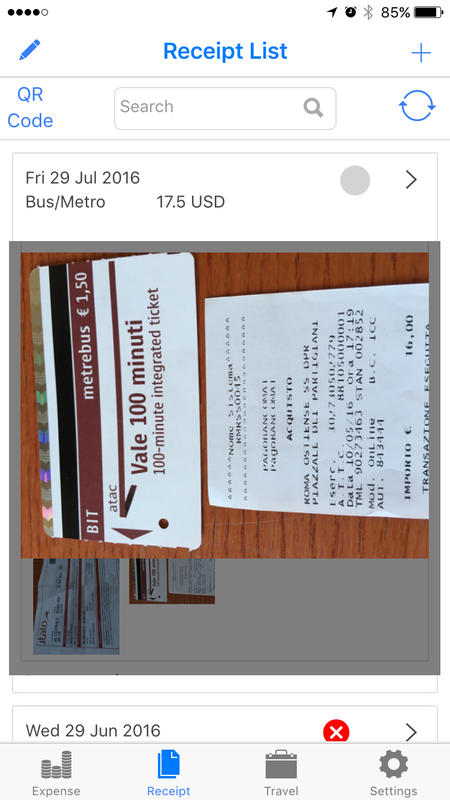 Receipts management via advanced OCR for the automatic compilation and use of QR code for the classification and retrieval. 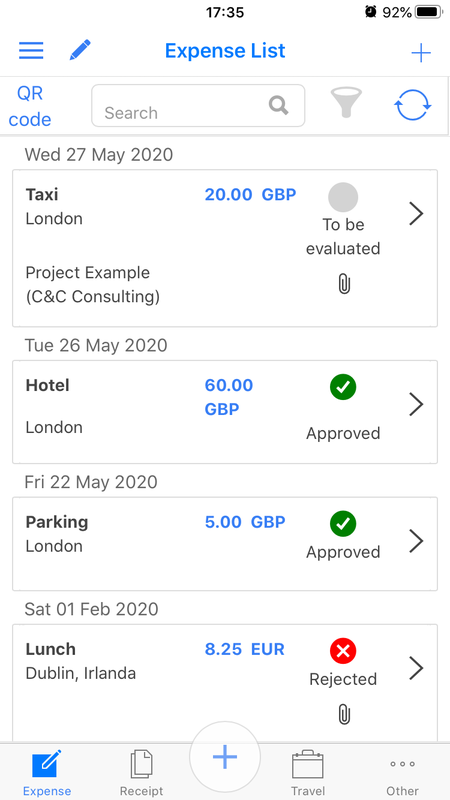 Change your way of working with eExpense the Expense Report App that makes the personnel management easier. 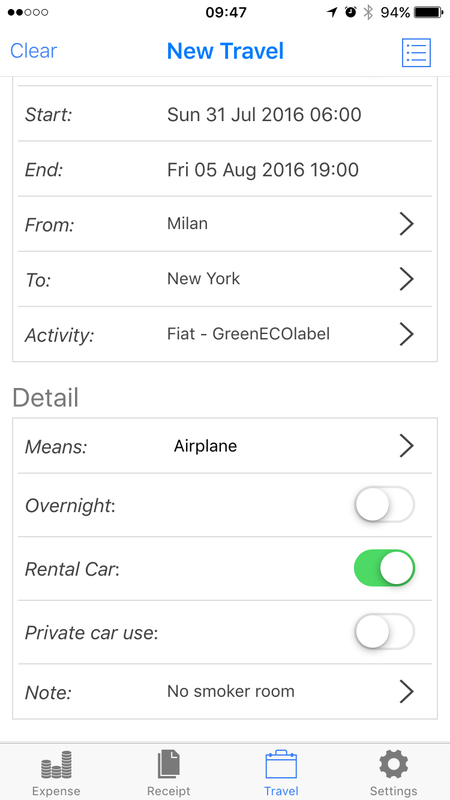 eExpense App has been designed for an enterprise use, by companies with a mobile personnel in Italy and abroad. 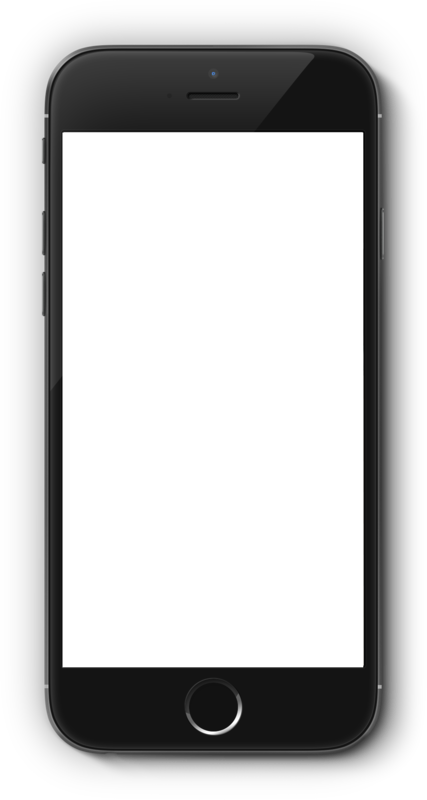 The App is designed, developed and tested also on the oldest smartphones with old Android and iOS versions. 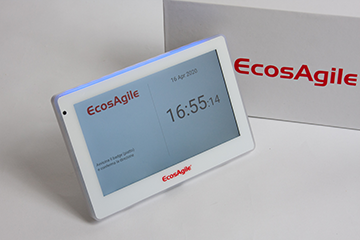 EcosAgile tests eExpense App repeatedly also on the outdated devices in order to make the performances more than adequate thanks to a devoted optimisation and synchronisation logics management work. eExpense has been developed to be a perfect extension and integrated to the Client’s internal company systems, without any change, or new installation or the adoption of new systems. The data are immediately available; the API has an open design, conceived for his use in any environment, also with your current and future company devices; all the processes illustrated are backed up by simple operational procedures. The App works also with no signal. The information are automatically transmitted to the server with asynchronous connections. 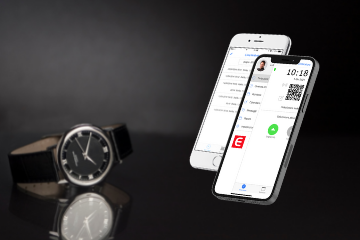 eExpense also proves the strength of the signal in order to evaluate if and when carry out the synchronisations, by managing also the change of mobile phone, moving the history on the new device, with a configurable depth. 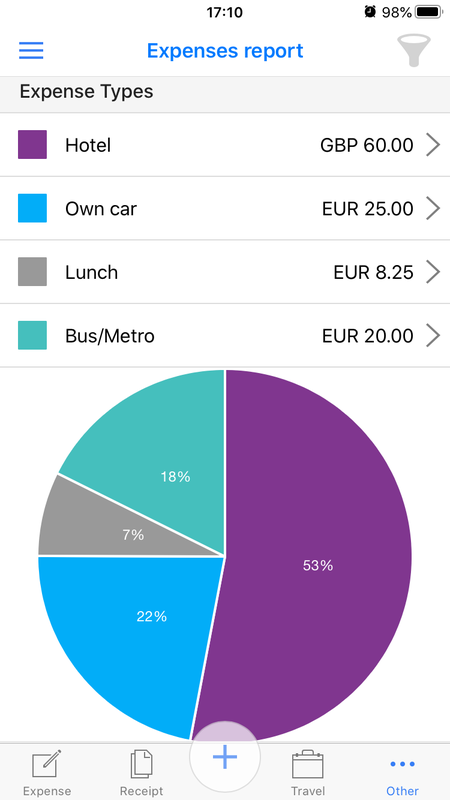 eExpense App is multi currency (with exchange rate) and multilingual (with a lot of active translations) It can be downloaded on the iOS/ Android stores of all Nations and it has an automatic configuration.